Muddling Toward Maturity Blog: Sayers, Dorothy L.
Having read almost everything she wrote, I can say that she is undeservedly the most neglected of the gifted Christian writers of the whole ‘Inkling period’. Here is the list of her novels and when they were written…..
- Dorothy L. Sayers- "The Greatest Drama Ever Staged"
A year ago I put up a post mentioning that C.S. Lewis made it a practice during Holy Week to re-read the cycle of plays Dorothy L. Sayers wrote on the life of Christ which were broadcast over the BBC in 1943. A few days ago I read the section in which she dramatizes Jesus' miracle of turning water into wine at the marriage in Cana of Galilee. What an amazing job she did! Her dramatist's eye sets the scene, depicts with humor and insight personality differences, and her dialog explores--profoundly in the case of Mary--the thoughts of people. Just terrific. Do check my earlier post for the information you will find there. The phrase "you owe it to yourself" is vastly overworked and almost always quite bogus, but it's not in this case. I can't recommend this cycle of plays highly enough. For any who have not yet been introduced to Dorothy L. Sayers' wonderful dramatic sketches of the life of Christ (originally produced for BBC radio in 1943) titled The Man Born to Be King, this might be a good year to indulge yourself. C.S. Lewis himself said, "I have re-read it in every Holy Week since it first appeared, and never re-read it without being deeply moved." 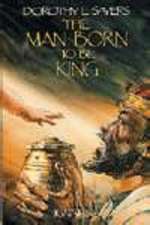 ** Update 3/10/08: There's a preview of "The Man Born to Be King" available online from Google Books.
. . . I feel wonderfully "mellowed out" after spending quite some time yesterday in Dante. Actually I wasn't so much "in" him as simply reading summaries of the various cantos in Dorothy L. Sayers' edition/translation and the Ciardi, together with some of the notes. You may recall that it was Charles Williams' enthusiasm for Dante that got Dorothy Sayers interested. She read Dante for the first time at age 51 and got so taken up with "The Divine Comedy" that she learned Italian and got herself hired by Penguin to do a fresh translation. What the "Comedy" does is help give content to the moral imagination. The word "sin" by itself is too barren. We need to be reminded more specifically of pride, envy, wrath, sloth, covetousness, gluttony, and lust in order to long for deliverance. I'm making no case for the Roman Catholic conception of purgatory. I'm simply saying that in being "saved" we are to be "saved" from all these contortions and deformations of the soul. It's a long, slow process but the result is liberty -- actual experienced liberty -- as we enter more and more into the "glorious liberty of the children of God." These are halting attempts to express what I grasp more in theory than know in practice. but I'm convinced that we (the church, culture, and individuals) suffer gravely from the lack of a developed moral imagination. Dorothy L. Sayers- "The Greatest Drama Ever Staged"
I just discovered that one of the best short pieces of Christian writing that I have ever read is now available on the internet. I am referring to Dorothy L. Sayers' The Greatest Drama Ever Staged is the Official Creed of Christendom. I first read it years ago in an anthology of her writings. I see it is now available in Creed or Chaos, another fine collection of some of her shorter material. Sayers is also the author of the Lord Peter Whimsey detective series, the translator of Dante's Divine Comedy for Penguin Books, and author of The Mind of the Maker and The Man Born to Be King. The people who hanged Christ never, to do them justice, accused Him of being a bore -- on the contrary; they thought Him too dynamic to be safe. It has been left for later generations to muffle up that shattering personality and surround Him with an atomosphere of tedium. We have very efficiently pared the claws of the Lion of Judah, certified Him 'meek and mild' and recommended Him as a fitting household pet for pale curates and pious old ladies. To those who knew Him, however, He in no way suggested a milk-and-water person; they objected to Him as a dangerous firebrand. . .
And on and on she goes! Read it online here.